2015 was Amiciness’ debut year after expanding out from Tumblr. Honestly, I didn’t expect the blog to grow as fast as it did. After 525,600 minutes, the blog gained a couple of sponsors, 170 likes in Facebook, over 80,000 page views and almost 40,000 unique visitors. This blog is my “baby” project. Since blogs became a thing, I have always wanted to have my own and I have always been a frustrated writer. For some reason, I forgot to fulfil this dream. Maybe I felt that I was not ready or I could not sustain it because of school and eventually my day job. Finally, I decided to do it and commit. You won’t know if you’re ready for something unless you’d tried. This is Amiciness’ 2015 Year in Review. Amiciness is here to stay! To celebrate 2015, here’s a recap of the posts that went “viral” (in my own definition) and those that were memorable to me as a blogger and pop culture fanatic. Let’s go down memory lane! Yeah. You’ll hear this phrase or see it in hashtags for the next week or so. And yes, I think I started 2015 right by actually writing. As someone who Instagrams a lot, I know that every IG post has a hidden meaning or emotion behind it. There’s always a trigger for every post. It could be an event, a person or a memory. In the tenth entry of the series, the “Instagrammer” expressed how he/she felt during the Chinese New Year. This year, I’ve been to four countries: Hong Kong (which inspired Confessions of an Instagrammer 10), South Korea, Singapore and Myanmar. I used up all my vacation leaves before August and it costed me a lot but I have no regrets. Traveling opened my mind and helped me cope with issues I found hard to forget. I experienced Chinese New Year in China, traveled alone to a Koreanovela set, slept a good number of hours in an airport and walked barefoot in ancient temples. What a year! Can’t wait for 2016. It’s not a secret that Asia’s Next Top Model gave Amiciness a boost literally (in terms of views and following) and figuratively (in terms of confidence). I have been blogging about AsNTM since the first season but AsNTM3 posts have put the blog on the map. 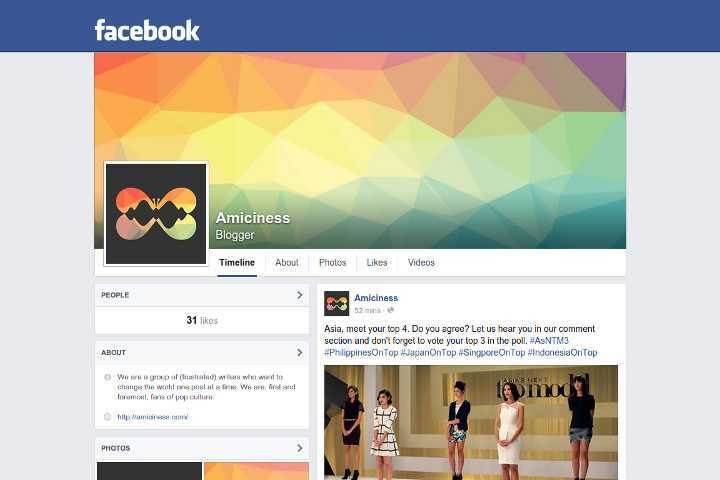 One of the posts with the highest number of views (and comments) was AsNTM3 Episode 6 The Girl Who Ran Out of Luck. This was the episode ignited the fan war between Tahlia and Monika’s fans. Fans from both sides passionately defended their bets. Just read the comment section and see what I mean! Click here to read more. If you’re an AsNTM fan, you’d be excited to know that the show would be back next year for its fourth cycle with an all-new cast. Follow the blog for more #AsNTM4 updates. Until then and speaking of new casts, I also put together my dream AsNTM All Star Cast for the fun of it. See if your fave made the cut. Are you Team Monika or Team Tahlia? So you want to break the Internet (seriously, we should leave “break the Internet” in 2015)? Just ID the anonymous hot male model in AsNTM3. This post was a product of a high-level stalking and Googling. Again, you’re welcome! If you still don’t know him by now, click here to find out. For obvious reasons, I’m not a fan of the term “Pinoy Pride” but 2015 was undeniably the year of Pinoy Pride. It’s the year when Crazy Ex-Girlfriend, an American network TV show that features a Filipino-American male lead, debuted and became pretty successful. It’s the year when Pia Wurtzbach won the most coveted Miss Universe crown (we’ll get to that later) after a drought of more than 4 decades. It’s also the year of the Cercado Sisters popularly known as 4th Impact. Amiciness featured the girls’ journey to the X-Factor stage by compiling their performances in one handy post. I still hope that they get to launch an international career or at least in the UK. Simon, please! Speaking of X Factor, Fil-Aussie Cyrus Villanueva also made it big in X Factor Australia. He just didn’t become a finalist. He won the whole thing following fellow Fil-Aussie Marlisa Punzalan. Watch Cyrus’ top performances here. As I have mentioned already, we have a new Miss Universe… and it’s Pia Alonzo Wurtzbach, 26, Philippines! What a year it has been for Filipino pageant fans around the world (the universe, rather)—winning Miss Earth two years in a row, and the much-coveted but seemingly elusive before now Miss Universe crown, and even placing at least semi-finalist in the other pageants. It has been an Amiciness tradition to feature the Q&A portion of these beauty pageants, where I answer the same questions, with an Amiciness twist of course. Well, it just started this year though with the Q&A portion for the Miss Universe 2014 (where former Miss Universe Paulina Vega from Colombia won last January), Miss Earth 2015, and the recently-concluded Miss Universe 2015. Looking forward to more of our Miss Philippines candidates showcasing their being confidently beautiful with a heart in beauty pageants in the coming years! When I was young, I dreamed of changing the world. To change the world is one of my personal objectives. One way is once in a while posting about my advocacies and socially relevant issues. One of the more memorable posts that made “headlines” was my sort of open letter to the major TV networks about early campaign commercials of our dear politicians. ‘Di ba? Kaasar! Read about my rant here. Speaking of rants, I also ranted about certain netizens that comments on posts without even reading the article. Worse, they didn’t even click the link to begin with. Ugh, read it here. On a more positive note, my friends and I also celebrated our second World Vision sponsorship anniversary in 2015. My friends and I share an account to support a little boy’s education. We plan to get a second scholar soon, hopefully! I call celebrity encounters as Social Climbing Milestones. HAHA. My most memorable experience this year was the time I had my photo taken with Sid Lucero. It was both embarrassing and nerve-wracking and at the same time, the joyous moment of my life. I’m still shaking… That’s what I call tadhana. 2015 was also the year when I started attending plays, live performances and even gala screenings. Before, I was usually shy when it came to approaching celebrities but in 2015, I was probably possessed by a spirit dahil sobrang alpha kapal muks ko! HAHA. Last February, I blogged Aicelle Santos’ first major concert in PETA. I believe this was the turning point of my journalism career. Chas! I felt like a legit blogger. Aicelle herself even read and shared the blog on her FB page. WHAT!! As a fan, it was pretty overwhelming. Click here to read about Aicelle Santos’ Class A concert. The most featured celebrity in the blog was probably Steven Silva. It’s no secret that I’ve been a fan for a long time now and naturally I’ve been following his new journey in the world of theatre. Amiciness was lucky enough to interview him (our first ever interview!) via email for La Cage Aux Folles and its restaging and he gamely answered my questions about his life and career. Amiciness also featured relatable and readable articles. I usually base my articles on personal experiences like the one about online shopping, wherein you met May, a friend that had a bad encounter with a mall’s steel gate. Or the one about friendship that explained the signs that you are not a primary friend. Many of my friends were able to relate. ‘Di pala ako nag-iisa. I always wanted to be seen on TV and after undergoing different acting workshops in 2014 and in early 2015, I wanted to make this dream come true. Kahit super extra lang. Unexpectedly, destiny had plans. 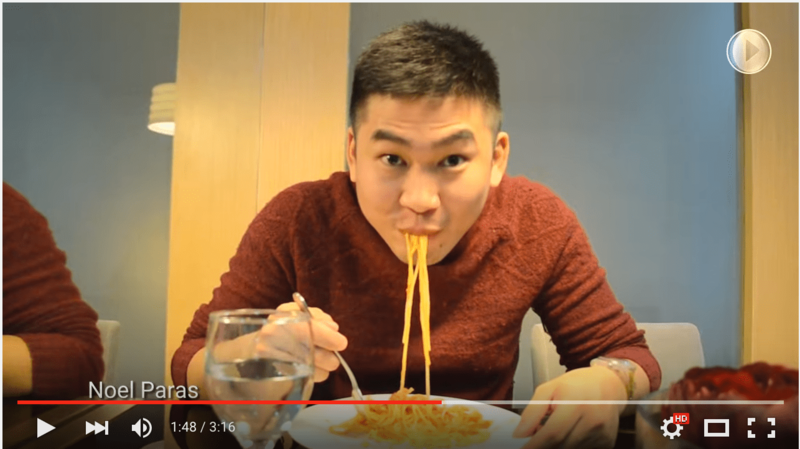 Sponge Cola and Google with Pinoy Youtubers had a music video contest for the Google App viral video ad. Impulsively, I decided to join and I was one of the winners. Watch me debut my music video career here. Next stop, primetime! HAHA!